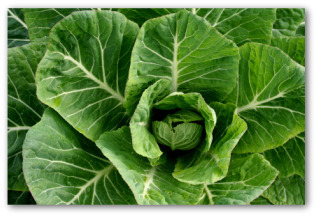 Learn how easy it is growing collard greens in your backyard vegetable garden. 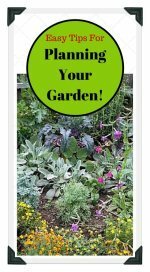 Learn how to plant, care for, and harvest for collard greens when gardening. Also we offer easy tips on how to freeze and pressure can extra collard greens harvested from your garden. 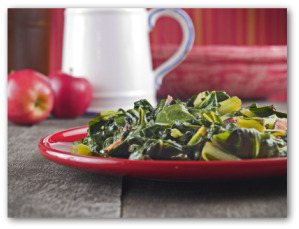 Collard greens, or collards as they are affectionately known in the southern states, are related to cabbages. 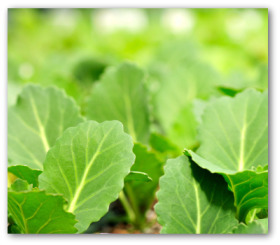 Planting collard greens produces crops that are harvested mostly in fall and winter. However, collards sown early will be ready for harvest in the summertime. Although, this vegetable is not suited to everyone‘s taste, they are viewed as better than dessert by some die-hard collard fans and are a source of excellent nutrition! Even though collard greens are more heat tolerant than other cabbage relatives, the vegetable tastes better after chilly weather arrives. A bit of frost makes the leaves taste sweeter. The plants prefer full sun, though they can tolerate a bit of daily shade. Prior to planting, enrich the soil by applying compost. In early spring, sow collard seeds directly in the vegetable garden for summer harvest. Seeds can be sown direct in early summer for harvesting in the fall. Sow seeds a half inch deep in rows 2 feet apart. Collard greens should be thinned gradually to stand about 15 inches apart. 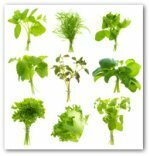 Thinning can be postponed until the plants are big enough to cook up a "mess of greens". 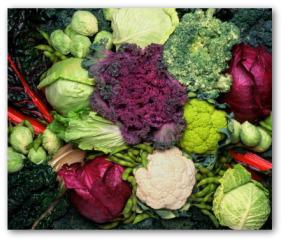 Collards have the same fertilizing and watering requirements as cabbage. Collards are ready for harvesting in 75 to 85 days. Harvest the entire plant or remove leaves as desired. When growing greens, any extra greens from your garden can be pressure canned for winter use. To prepare the collards for canning, remove tough stems and any damaged leaves. Wash thoroughly; repeat the process. Stir the mass of leaves several times until they are wilted and fully heated. For hot pack, pack collards loosely with the liquid produced while heating the vegetable. Add boiling water if needed. Process jars in pressure canner at 10 pounds. In preparation for freezing, select tender, young leaves. Remove tough or large stems. Wash thoroughly; changing the water several times. Stir leaves to avoid matting and inadequate heating. Cool, drain, and pack, allowing ½ headroom. The traditional method of cooking collards is with some kind of pork. Salt pork is a favorite in the South as each ingredient benefits in flavor from the other. After growing collard greens, both canning and freezing the nutritious vegetable can be done with good results. A suggestion for serving collards that you previously canned is to dress them with cooked bacon, salt, pepper, and vinegar. Cook your frozen collard greens in a little boiling salted water with bits of ham for 20 minutes or longer if you like them well done. Even though collards may be considered by some people as a poor man's crop, they actually have a long and distinguished history. This perennial is one of the oldest members of the cabbage family. 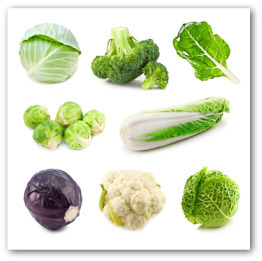 Historians claim that the vegetable has been used for food for thousands of years. 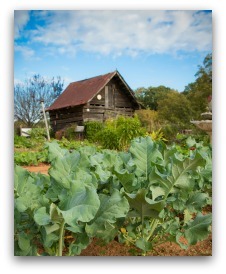 By 1669, early American gardeners began growing collard greens. Collard greens adapt widely and are finding their way into more vegetable gardens. 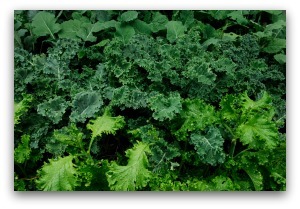 Unlike their close relative, kale, collards withstand hot summers and can take much more cold than cabbage. Recently a friend told me about taking a "mess of greens" to a family get together and the dish was such a hit that there were plenty of desserts left but nary a green in sight! She said everyone bragged on them every time she talked to any of her relatives, and they all asked for tips on growing collard greens!